Why CounterVortex? The planet is spiraling into a vortex of ecological collapse, permanent war, and totalitarianism—whether of the techno-security state or the religious and ethnic fundamentalisms that ostensibly oppose it. Through our resistance, we create a counter-vortex, generating movement toward sustainability, peace, and popular democracy. 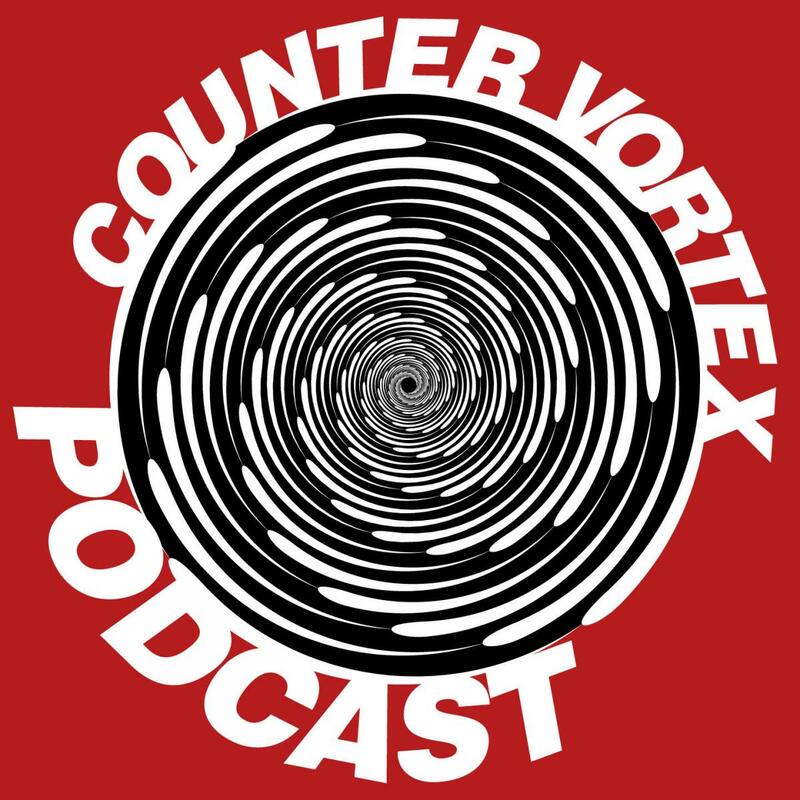 CounterVortex incorporates World War 4 Report, the news service and digest launched by Bill Weinberg in the aftermath of 9-11. World War 4 Report has been monitoring the Global War on Terrorism and its implications for human rights, democracy and ecology since the immediate aftermath of 9-11. With an international network of contacts and correspondents, we scan the world press and Internet for important stories overlooked by the mass media, and examine the headlines with a critical eye for distortion, deceit and propaganda. We report on the forgotten wars outside the media spotlight, and seek out unexamined contexts that go beyond mainstream sound-bite coverage. We endeavor to expose the corporate agendas behind the new military interventions, and to find pro-autonomy, anti-militarist voices we can support in the countries under imperialist assault. We support the secular, progressive anti-imperialist and pro-democracy forces in the Middle East that reject the spectacularized "jihad-vs-GWOT" duality. We especially seek to loan solidarity to land-rooted, stateless, and indigenous peoples—the "Fourth World." Above all, we are committed to real journalism (as opposed to mere opinion-spewing and bloggery), and seek through our example to resist its alarming decline. We are fastidiously non-sectarian, and our first loyalty is always to the truth. With Russia's recovery as a superpower and the US embarking on a New Cold War with China, the potential has again emerged for a "World War III" scenario—which now could be considered World War 5. Why Overseas Contingency Operations? With the election of Barack Obama, our kicker changed from "Deconstructing the War on Terrorism" to "Deconstructing Overseas Contingency Operations." There were some indications that with Obama, we had entered the post-GWOT era. Although the US military remained massively overstretched, the nomenclature, at least, changed. The Obama administration formally abandoned the Bush-era phrase "Global War on Terrorism." The new term was the dryly clinical and antiseptic "Overseas Contingency Operation." Was this an improvement—or a switch from a hubristic and bellicose rallying cry to an Orwellian euphemism? In any case, it was clear that World War 4 Report had not outlived its mission. With the election of Donald Trump, we are back to a far more bellicose stance, with the enemy now explicitly identified as "radical Islamic terrorism." It remains to be seen if Trump's "isolationist" rhetoric will actually manifest in a withdrawal of US military commitments—or just the opposite. We are committed to publish until peace—by which we mean, minimally, a withdrawal of all US combat forces and military advisors from Iraq and Afghanistan, as well as Colombia, the Philippines, West Africa, etc. We will continue to oppose domestic militarization, especially along the US-Mexico border, and the anti-immigrant backlash that began with 9-11 and is finding new life in the current crisis of capitalism. We will continue to oppose US support of regimes that keep down peoples struggling for autonomy and liberation—whether it is the Palestinians under Israeli occupation, the Tuaregs of the Sahel states, or the Maya of Mexico and Quechua of Peru. These struggles are certain to persist even if the US military leviathan significantly withdraws its tentacles in the coming years—recalling the anarcho-surrealist slogan "Neither your war nor your peace!"